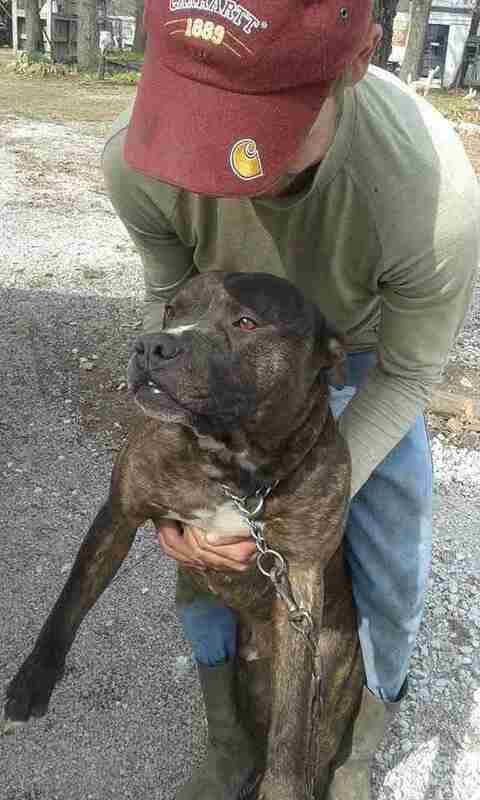 Stray Pit Bulls Were Shot In This Town. Until One Woman Stepped In. Returning home after his deployment in Afghanistan, Nathan could not sleep in his own bed for fear of choking his wife in the throes of a night terror. Until he met Jack: a black pit bull mix rescued from the pound and trained as a service dog. With Jack at his side, Nathan moved out of the basement and into his bed. He was able to be a husband, father and brother again. "Helping the rescued become rescuers" is the maxim of Dog's Nation - a nonprofit that takes in unwanted pit bulls and trains them as service dogs, then matches them with veterans in need. Jack and Nathan were one such match. 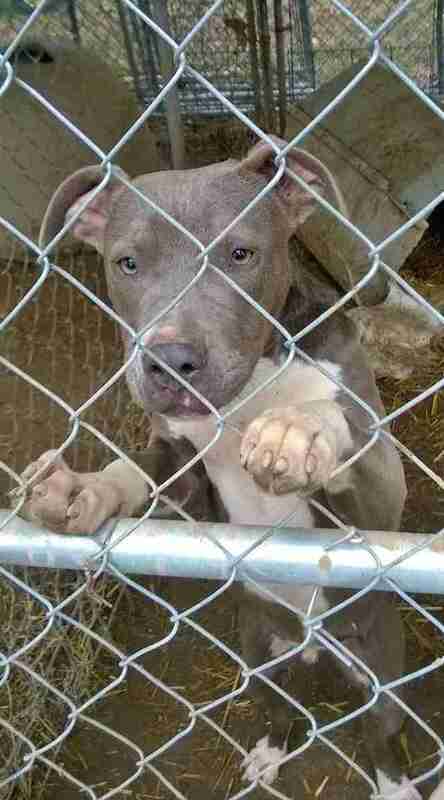 More than half the dogs euthanized at shelters are pit bull types. 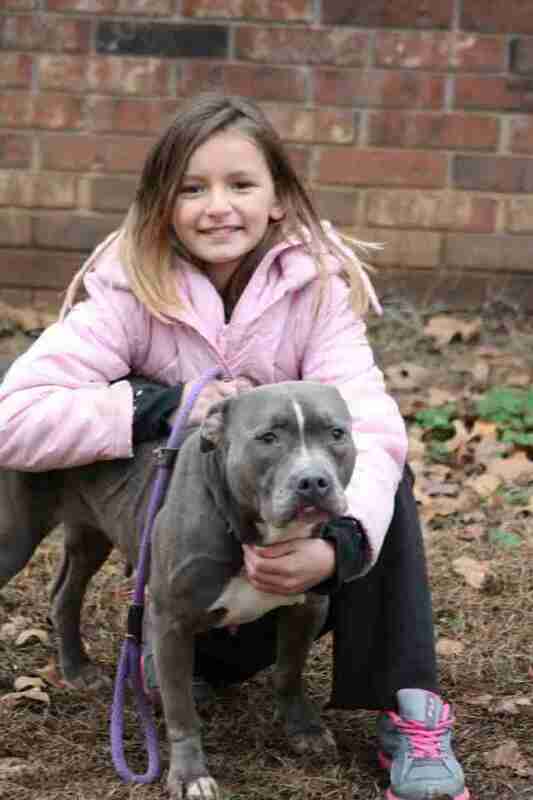 Prolific backyard breeders - combined with widespread breed discrimination (including county ordinances banning "bully breeds") - are deadly for pit bulls. "Pounds, of course, are full of 'em," Dog's Nation founder Shawn Abell told The Dodo. The exception is in areas like rural Missouri - where, Abell said, animal control centers are so underfunded, capacity may be restricted to five cages. She added that farmers often shoot wandering dogs because there's no one to call for help. That's why Abell began rescuing dogs over a decade ago. 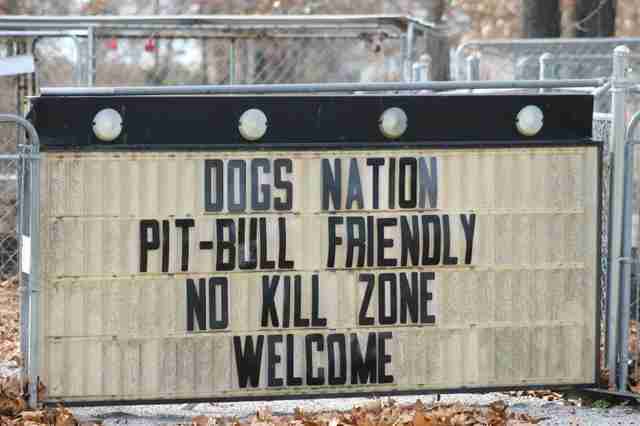 Now over 50 dogs, mostly pit bulls and pit mixes, reside on Dog's Nation's 10-acre property east of El Dorado Springs. 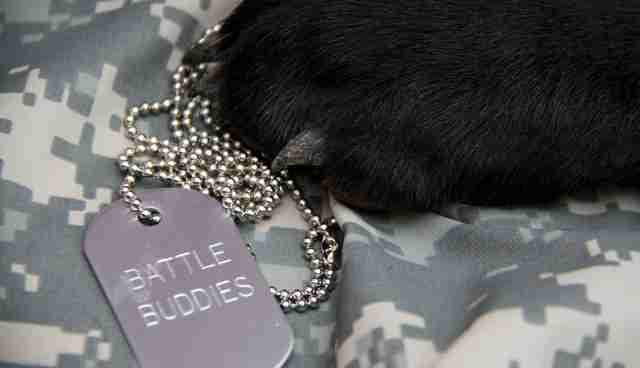 Dog's Nation matches about 60 service dogs a year with veterans and children with autism. "If a dog doesn't qualify for a service dog, I'll just keep him," she said. Her first pit bull came by way of New York, when his owner passed away from AIDS. 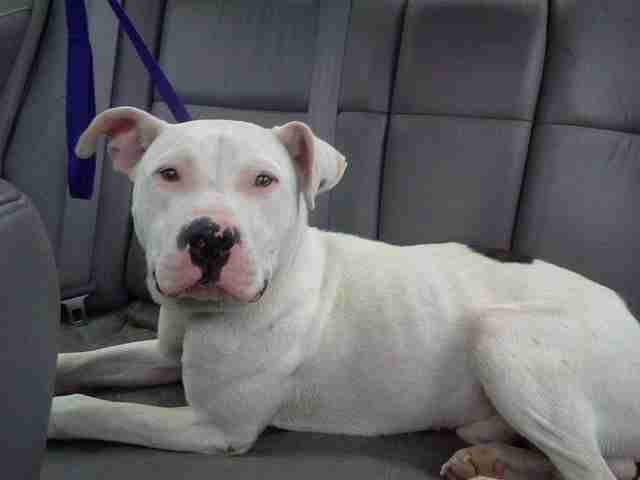 Another, rescued by a Holocaust survivor, flew from Israel, where pit bulls are banned. But most of Abell's pits hail from the streets of East St. Louis, their history unknown. Some are survivors of abuse; three were found badly burned and one had his throat slit. "They just carry on," she said. 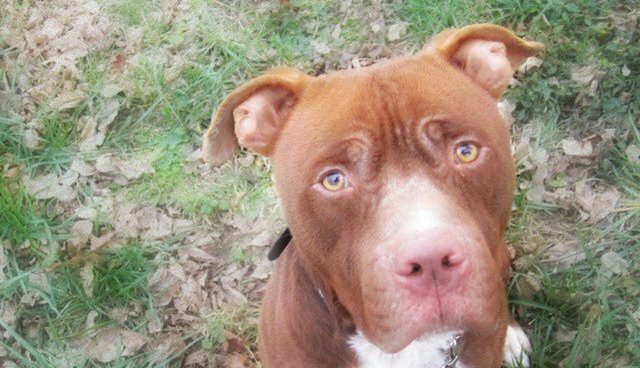 Their "low-key" temperament, Abell explained, makes pit bulls ideal service dogs. But because they are unfairly perceived as aggressive, Abell pairs them with children only when their parents request a pit. On the other hand, veterans - who may have endured trauma or faced negative stereotypes themselves - are the perfect match. Lee Hatt volunteered at Dog Nation for two and a half years before becoming a resident on the premises, where Abell eventually hopes to house other war veterans. He describes his pit bull, Mason, as a "comfort dog," soothing the post-traumatic stress disorder (PTSD) symptoms he's experienced since returning from combat in 2012. "If I go out in public, he helps prevent me from getting angry or lashing out at others," Hatt told The Dodo. In just a few months' time, he said, Mason has taught him how to better communicate with people. And training dogs to help others in need, he said, is very gratifying. Nathan passed away six months after adopting Jack. At the funeral, his family gathered around Abell and thanked her for giving Nathan back to them before his death. They knew he'd passed in peace, they said, because Jack didn't wake anyone. "The family finding comfort ... is enough to keep me going," said Abell. Currently, five of Abell's dogs are in the six-month training process to become service dogs for veterans. While trained service dogs usually fetch upwards of $10,000, she said, Dog's Nation provides them free of charge. All veterans qualify - as long as they can collect their service dog in Missouri. Dog's Nation is hosting an open house Saturday from noon to 3 p.m. Can't make it? Click here to donate.